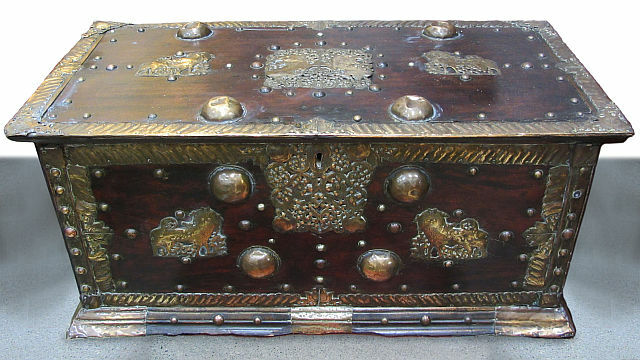 Antique brass embellished chest of Dutch colonial origin. The nail heads bear the date 1742. The wood appears to be mahogany.